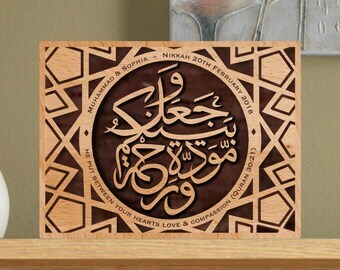 Set of 4 personalised round solid wood coasters with complimenting stand. 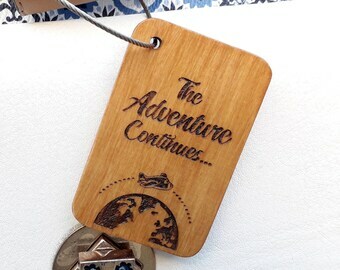 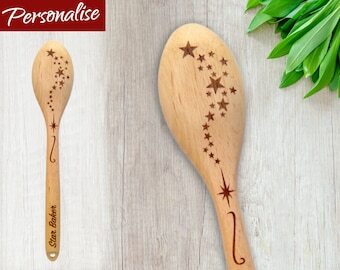 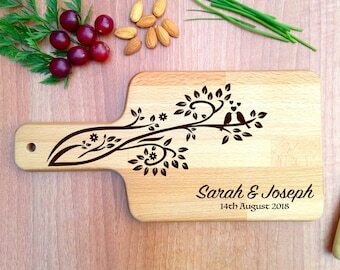 Will make a wonderful gift for a newly wedded couple moving into a new home or a memorable anniversary present. 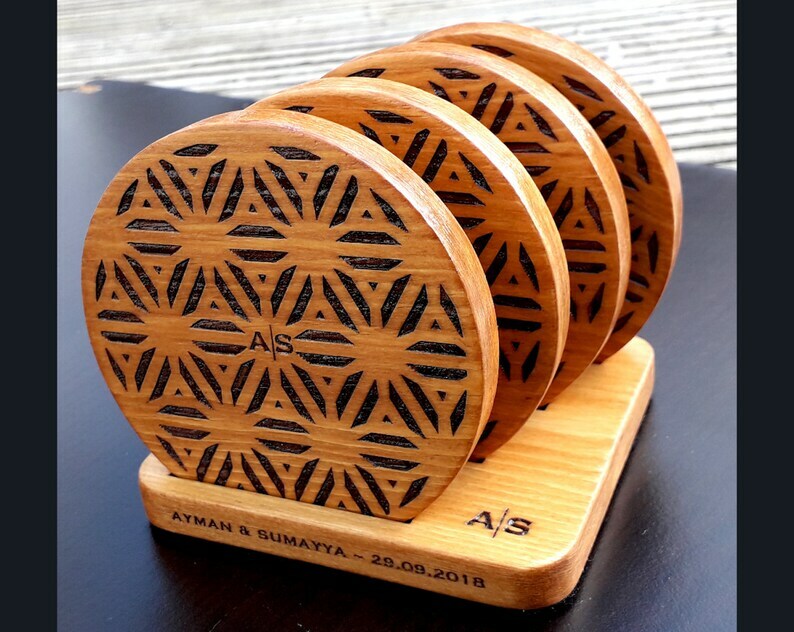 The coasters are made of solid wood and feature a geometric flower design personalised with up to 2 initials in the centre and a short personalised message on the back. 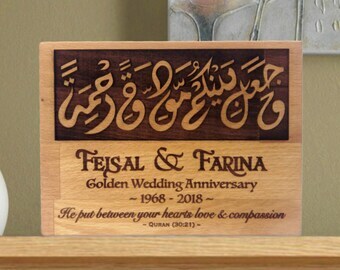 The stand is made of solid wood with a felt base and has been designed with four slots to neatly hold the coasters in an upright position turning the set into an ornamental display as well as practical keepsake. 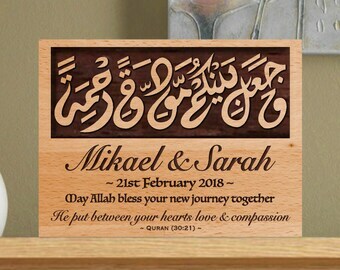 It is personalised with the same initials as the coasters on the top surface along with the first names of the couple and wedding or anniversary date on the front edge (please see images).